The Manehattan Project Update #7: Put on Your Listening Ears! Fillies and colts, I am utterly delighted to announce that the completely remastered edition of Fallout: Equestria (The Manehattan Edition) is in the final phases of completion! In fact, we plan to make it fully available to everyone next Thursday! Not only is this professionally remastered by our very own Corvus, a stallion of many talents, but it also has a special surprise at the very end. A surprise we’re going to be releasing concurrently with the new version. Thank you all for your patience as we have worked tirelessly getting you the best possible version of The Book of Littlepip for your auditory enjoyment, in conjunction with our ongoing creation efforts for “This Coming Storm” and dealing with the wonderful aftermath of Gardens of Equestria: Smuggler’s Run, now available on Nexus Mods! In fact, I’d like to sit down and talk to you about that for a bit. Let’s first talk stats. I like these numbers. Because they blow my mind away! 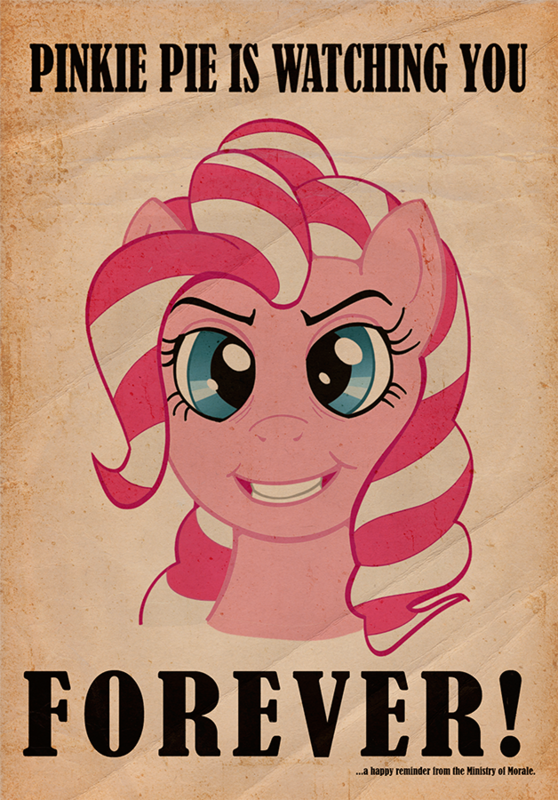 Now, here’s the honest truth: we announced Smuggler’s Run in a few places: the MLP Reddit, the FO:E Reddit, Equestria Daily, FiMFiction.com, my personal deviantArt Account, YouTube and Twitter. Every single one of those are fan communities. And you are the ones who drove our numbers into the stratosphere! While it seems like we were all over the internet, we really weren’t. Only those who were already watching us or were in those communities knew about it…and told their friends! I know no one expected for us to launch a preview experience just a month and a half after the reveal of Gardens of Equestria, but golly did you folks enjoy it! Not only that, but we’ve had many new applicants in the last few days! And what does that mean for you? That being said, we’re still looking for a PR person and potentially more experienced scripters, along with a few female voice actresses. The sooner we get a PR person, the more we can focus on making “This Coming Storm” an experience unlike any other. If you might be up for the challenge, just send in an application! Finally, with us now on the front page of the Nexus, it has gathered some attention from the less savory elements of the internet. We’ve already posted our response to all of those folks. Attacks, threats and other sort of derogatory comments will be dealt with. We’ll report those who need reporting and delete those who are just shy of that line. So please don’t bother responding, because your reply will be deleted as well (it’s just how the system works, not that we’re intentionally deleting your words). We do appreciate those who have stood up for us though. Last weekend was rough…and to get that level of support was a wonderful antidote to the vitriol that was being poured atop us. We’ll be showcasing some of our new talent in the coming weeks, after the new Audiobook comes out. I’ve also heard rumors that DJ-PON3 will be doing some interviews soon! Until then, have a wonderful day and stay safe out there! The Manehattan Project Update #6: Thank You for Supporting Smuggler’s Run! So I’m just going to sneak through the fourth wall right now and hopefully not crack it again. 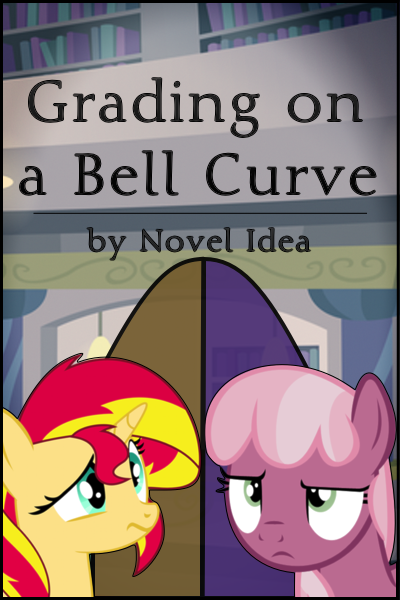 Think of it as the end of “Magic Duel” where Twilight and Pinkie Pie come back on screen at the ending. I just wanted to say thank you from all of us at the Manehattan Project for your amazing support of Gardens of Equestria: Smuggler’s Run. 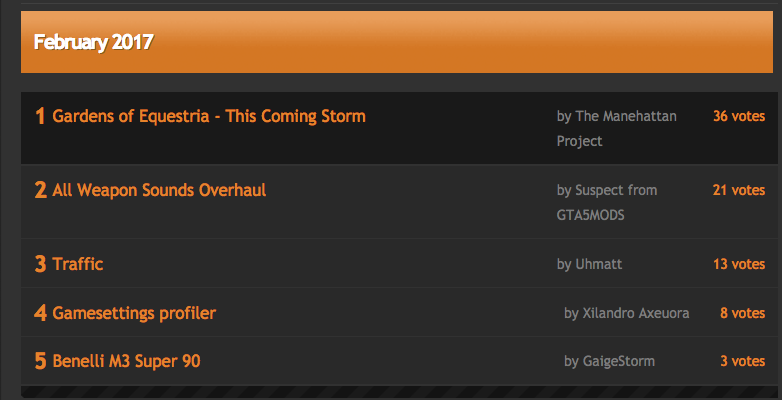 We have 37 endorsements, almost 750 downloads and nearly 8,000 views on the GoE: Smuggler’s Run NexusMods site. All of that in the last seven days. That simply blows my mind. 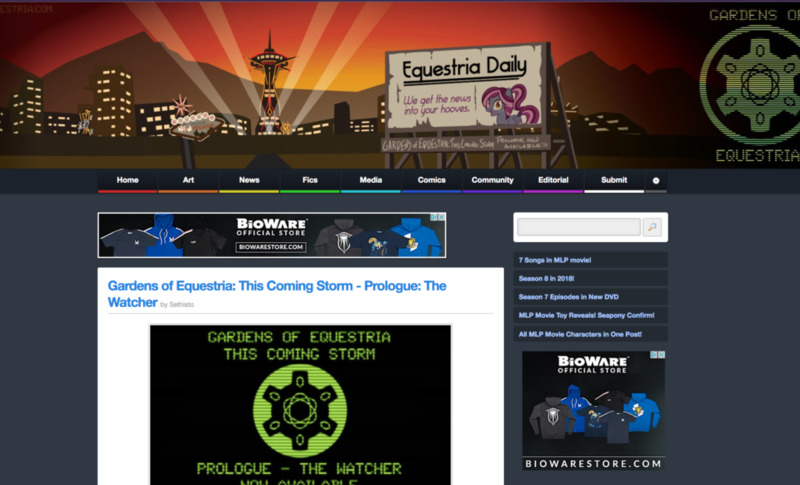 Especially the wonderful feedback we’ve received on Equestria Daily and the Nexus site. We’re all thrilled that you have been enjoying this special preview. Don’t worry, we have much, much more in store for you. Everything you saw and read in Smuggler’s Run links directly into the story and environment of “This Coming Storm.” We’re just getting started folks. You’ve only scratched the surface. I’m happy to report that the Manehattan Project development team had a meeting last night and we’ve ironed out a lot of details that will allow us to move forward much more quickly. We have a goal date, but we’re not ready to release that just yet. However, be assured that “This Coming Storm” will launch before Fallout 4. So it’s only a few months away! Also, a special shoutout to Corvus, our in-house musician and Music Director. It was his awesome work that you heard in the Safehouse. We’ve released the Smuggler’s Run Theme on Soundcloud as it is right now, directly from the game files and we’ll be releasing a full version of it at a later date. But if you can’t wait, go ahead and head over to Soundcloud to download it! Or if you want to just rock out to it on YouTube, check it out below. Don’t forget to leave some feedback for Corvus! We’re finalizing details on GoE: This Coming Storm at present. 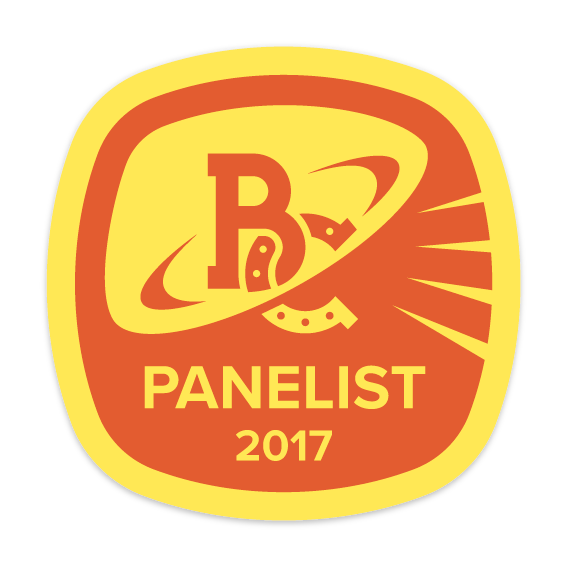 But there is one thing you should know about “Racing Apotheosis” for Fallout 4… it will be a continuation of the story we’re starting in This Coming Storm. This is all one interwoven story across years, miles and dimensions. We’re still looking for some folks to join the team, especially scripters and individuals familiar with the GECK. The more help we get, the more we can deliver to you in GoE 1 & GoE 2! We’re in this for the long haul folks and I’m sure you won’t be disappointed. Welcome to the Manehattan Project, a special division of Stable-Tec dedicated to the absolute best in post-apocalyptic simulations. Make sure to take a look around. Stable-Tec just gave us the authorization to release some of what we have in store for you in Gardens of Equestria and we’re eager to show it off! I’m Novel Idea, Creative Director and Lead Designer of the Manehattan Project. I’ll be your host for today. In the future, I hope to have other members of the team come out to have a chat with you, but as I’m sure you’re aware, we’re all extremely busy creating a whole new reality. And believe it or not, creating entire new realities is hard work. The first thing you might be asking yourself is…is this real or some sort of hoax? I can tell you it’s very much real. I myself have walked the halls of Stable 207, explored the bridge of the EHS Nimbus and descended into the depths of the Primm Basement. 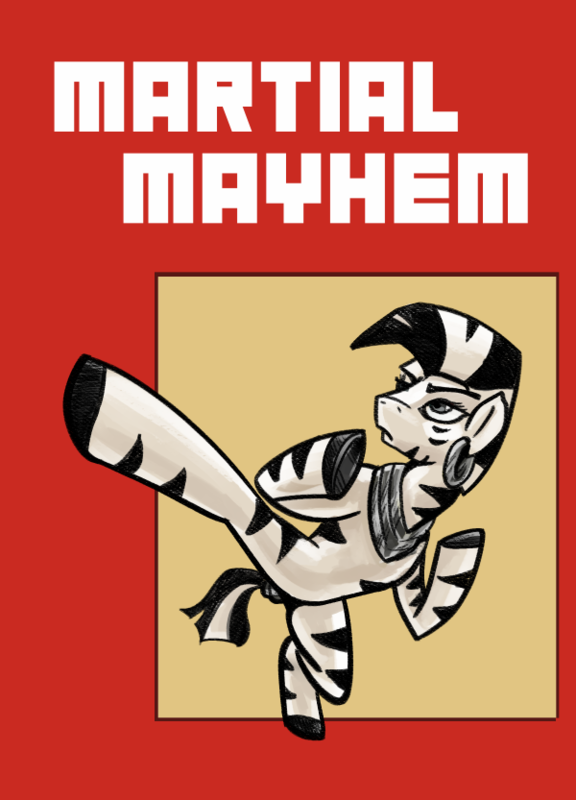 In my own personal battles across the Equestrian Wasteland, I’ve wielded the fearsome firepower of Little Macintosh and the infamous Zebra Carbine. I have even journeyed alongside an early version of Littlepip herself. Let me tell you that she is utterly vicious with that pistol of hers. I really hope never to tick her off. The second thing you might be asking yourself is…why would we be designing a new module for Stable-Tec’s hit simulation, “Fallout: New Pegasus?” After all, the simulation’s been out for several years now. Well, I can’t speak to Stable-Tec’s current plans for the series as I’m under non-disclosure agreements and all that. However, in truth, New Pegasus is all that’s available at the moment. And ironically, that’s also where the current popularity of these sims truly began. One pony started this journey for all of us with a single piece of artwork after playing New Pegasus. That pony’s name was (oddly enough) Dan Shive. I have a small confession to make to you all. I’ve been a fan of Dan Shive for years, especially of his webcomic regarding the magical adventures of creatures called humans. It’s ironic that he was the one who began it all with that piece of artwork. He has graciously allowed us to show it here. Mr. Shive ended up inspiring none other than the world-renowned author Kkat into crafting the masterpiece known as “The Book of Littlepip” or by its more common title, “Fallout: Equestria.” I don’t think anypony foresaw what would happen next. An entire subculture grew up around Stable-Tec’s “Fallout” series because of this. A brand new community that Stable-Tec never expected. While in truth, I hadn’t had much interest in Stable-Tec’s work with the Fallout simulations, that changed after I finally read The Book of Littlepip for myself. So I approached a well-known creator of modular content for the original “Fallout 3.” In our conversations, Gardens of Equestria was born. While the project has grown since its initial inception, going from a one-pony operation to a team of eight, the goal has never changed. That goal is to bring you nothing less than the absolute best in creating a new vision of the Equestrian Wasteland. Finally, there’s one most question you might be asking yourself. Isn’t there already another group doing exactly the same thing? If you’re asking yourself that, you are probably thinking of another one of Stable-Tec’s divisions, the amazing Overmare Studios. Let me just start by saying that what Overmare Studios is doing is far and away a hundred times more ambitious than what we at the Manehattan Project are doing. They are creating an actual simulation based off of Littlepip’s adventures in “The Book of Littlepip” directly. They’re also creating the entire thing from scratch, using technology Stable-Tec has never implemented before. I wish them the best of luck in their endeavors and hope that one day we may be able to collaborate on both of our projects together. The one catch with their project is it will take some time, but I know without a doubt that when they unveil it all for us to enjoy, it’ll be an experience unlike any other. So hopefully that answers most of your initial questions that may not have been answered in the other areas here at the Manehattan Project! But don’t worry, you’ll be hearing plenty from us in the future. We’ll be posting regular development reports on our progress, along with work-in-progress and completed screenshots, videos, music and artwork. 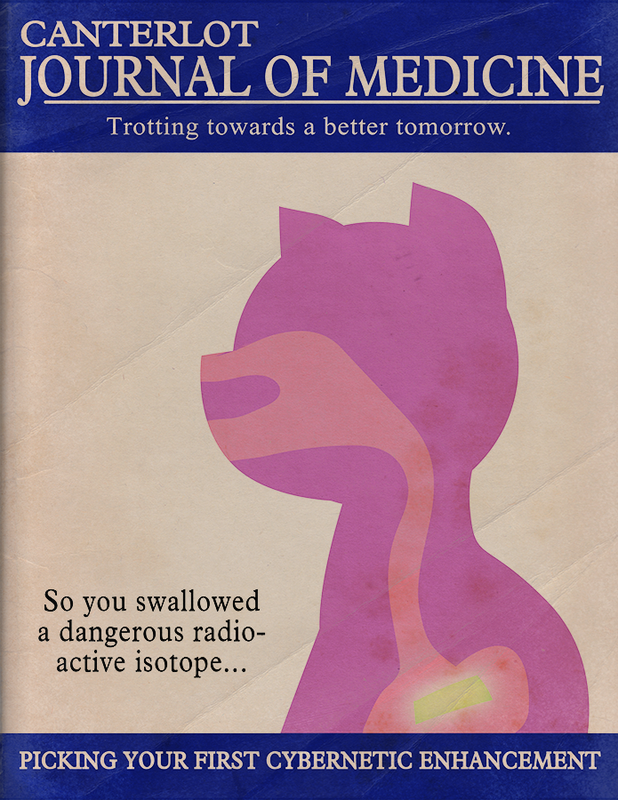 We might even release our unique “Ministry of Wartime Technology Experimental Technologies” pack (purely fictional of course. We here at the Manehattan Project have no knowledge of any of the MWT’s ongoing projects) for you to while you await the arrival of the full simulation. But more details on that later. Until next time, stay safe out there and have fun! Minor damage to Fourth Wall detected. 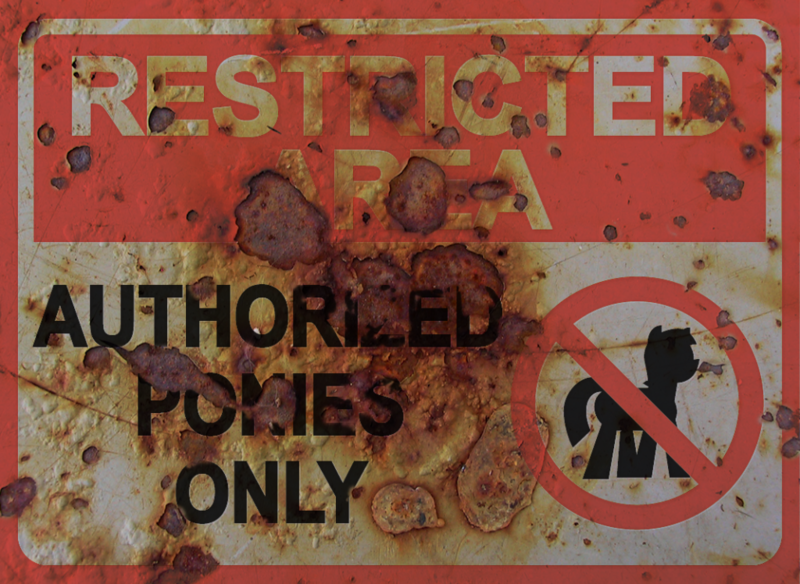 Caution is advised in any future exploration of The Manehattan Project. 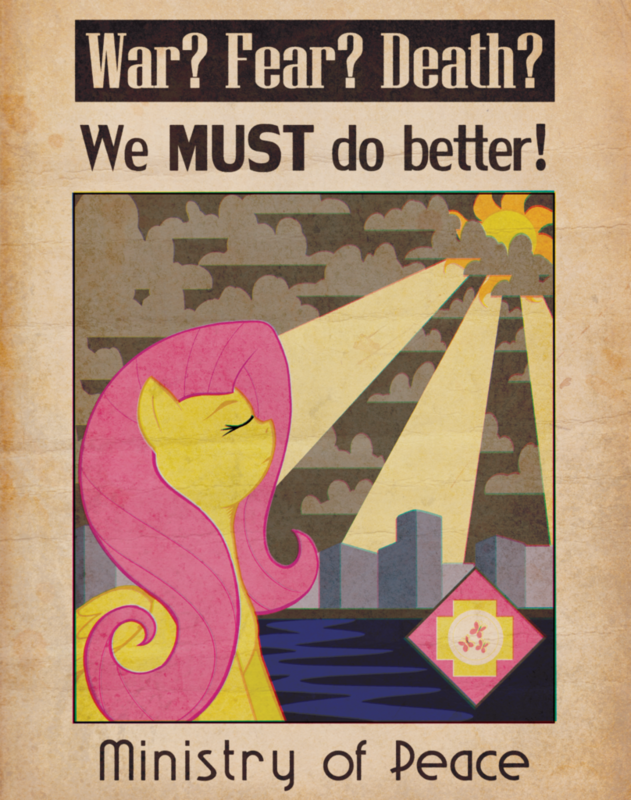 If you wish to continue despite this warning, you may seek out information on the Origins of the Gardens of Equestria by clicking this link. *Stable-Tec and the Manehattan Project assume no responsibility for any dimensional breaks that may occur.